Executive functioning skills are the abilities our brain develops to allow us to achieve our goals and prepare for the future. Individuals with Executive Functioning Disorder (EFD) struggle to organize and regulate themselves in ways that would help them to accomplish goals that take some time, like writing papers, projects, and other long-term goals. EFD often becomes apparent as academic demands increase. Who is Prone to Executive Functioning Disorder? Most children with ADHD also suffer from EFD. Neurotypical people tend to develop executive functions in succession. 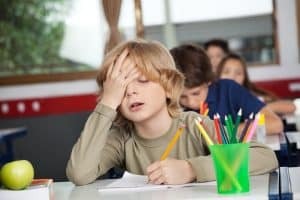 In general, children with ADHD develop executive functioning skills much slower than neurotypical children. Then they start developing the next executive functioning skill later than their peers and fall even farther behind—they need help to catch up. Children with learning disabilities can also suffer from EFD. It’s important that clinicians carefully assess if a child truly has ADHD when treating EFD. Generally, once stimulants are working for children with ADHD, the EFD improves. Children with learning disabilities do not see an improvement in EFD skills after taking stimulants, and will need to work with a learning specialist. How can I help my child with EFD? If you suspect your child has EFD, you can get them evaluated, or start treatment with a behavioral therapist. To schedule a consultation, call us at: 646-450-6210. You can also work with your child’s teacher to brainstorm concrete solutions to everyday EFD challenges. Think about solutions that have been helpful to your child in the past, and see if they can be modified to fit in a classroom setting.